Ambassadors are volunteers who are an invaluable support in raising awareness amongst patients, healthcare professionals, media and political stakeholders and helping us listen and keep us informed of what’s happening on the ground. Ambassadors also have the opportunity to shape the future of the charity by taking part in Heart Valve Voice’s Annual General Meeting, where key decisions are made. Sue Jardine had a TAVI in 2013 and has been instrumental is developing the Patient Ambassador Group and has taken part in numerous events including dinners with Members of Parliament and the recent Photography Competition. Marina had an aortic valve replacement in 2014 and is a part-time midwife. She is a very active member of the Patient Ambassador Group having presented at policy events and featured in media campaigns. Pat had a mitral repair several years ago and has been a Trustee of Heart Valve Voice since 2016. Pat attends conferences and helps develop our patient stories. 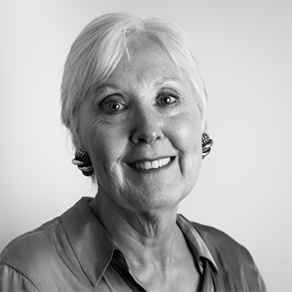 Pat strongly believes in the Patient Voice and has supported other patients in engagement activities across the UK. Brenda joined our Ambassador Group in 2018, she had a TAVI a few years ago and hasn't looked back since. She has featured in Heart Valve Voice online articles and major newspapers and continues to promote patient advocacy.